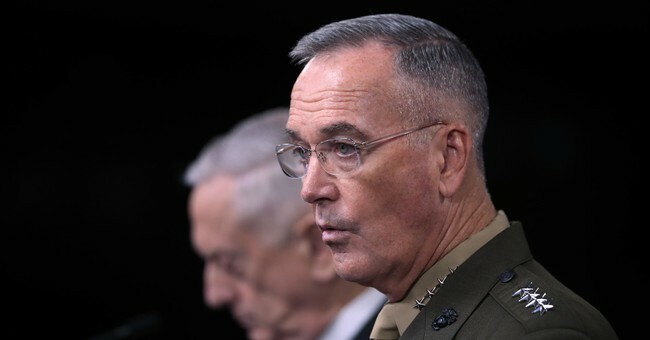 During his testimony to the Senate Armed Services Committee on Thursday, Chairman of the Joint Chiefs of Staff General Joseph Dunford said while Google continues to not work with the U.S. military, they will work with China. He said their work with China in turn benefits the Chinese military. Acting Secretary of Defense Patrick Shanahan also warned about China’s increased spending on its military. “China’s defense spending approaches that of the U.S., when we take into account purchasing power and the portion of our budget going to military pay and benefits. “That, coupled with China’s organized approach to steal foreign technology, has allowed China to modernize its missile, space, and cyber capabilities, as well as project power far beyond its borders,” he said. The threat China poses, along with Russia, is why he and other Department of Defense leaders say the $718 billion defense budget requested for fiscal year 2020 is needed.